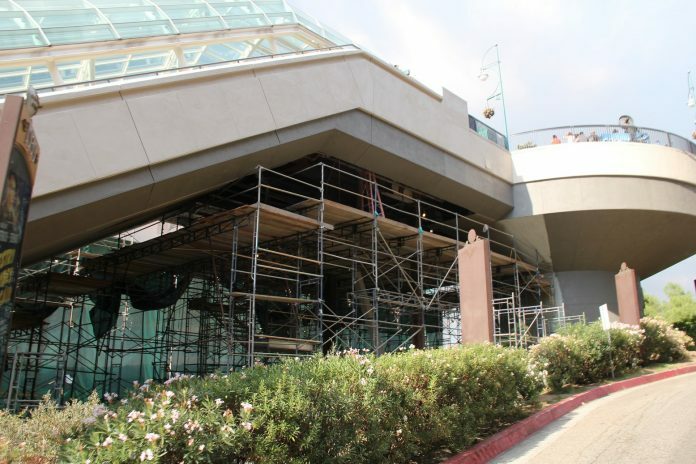 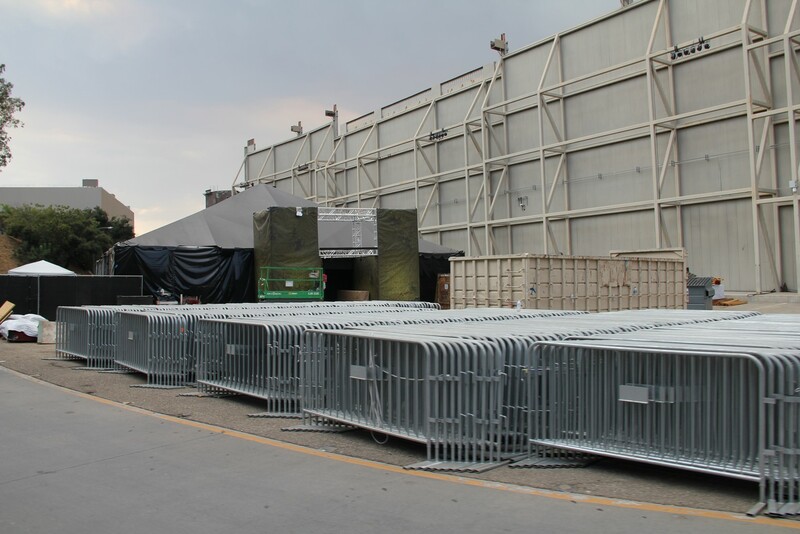 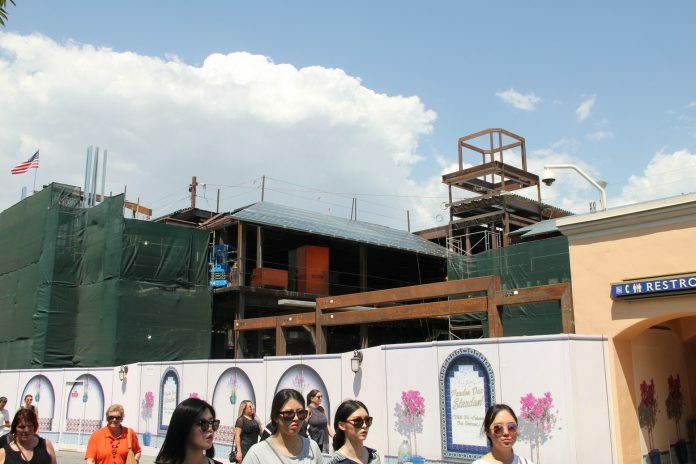 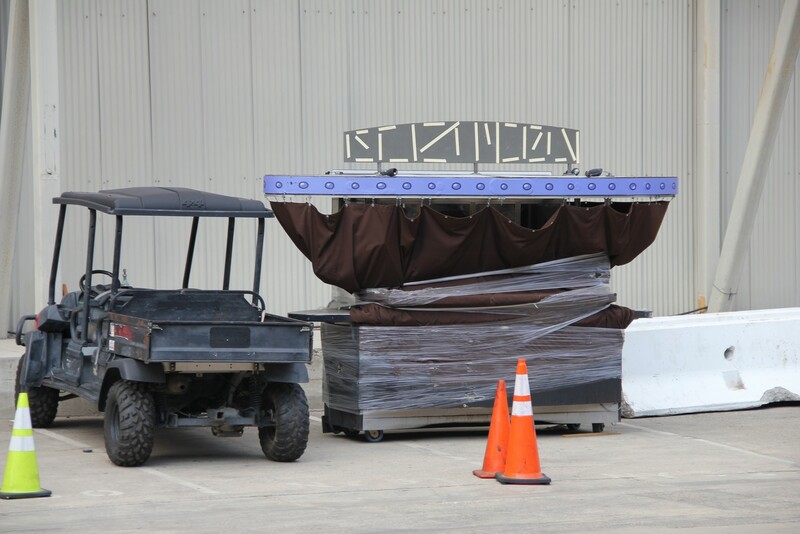 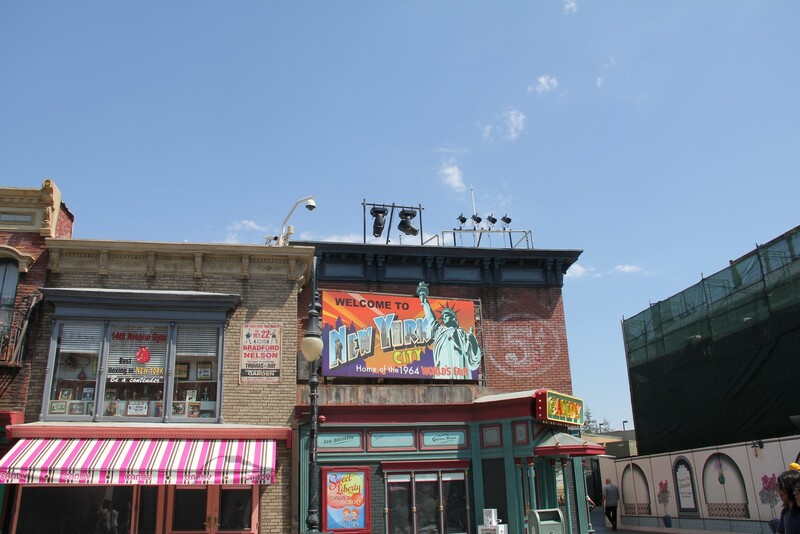 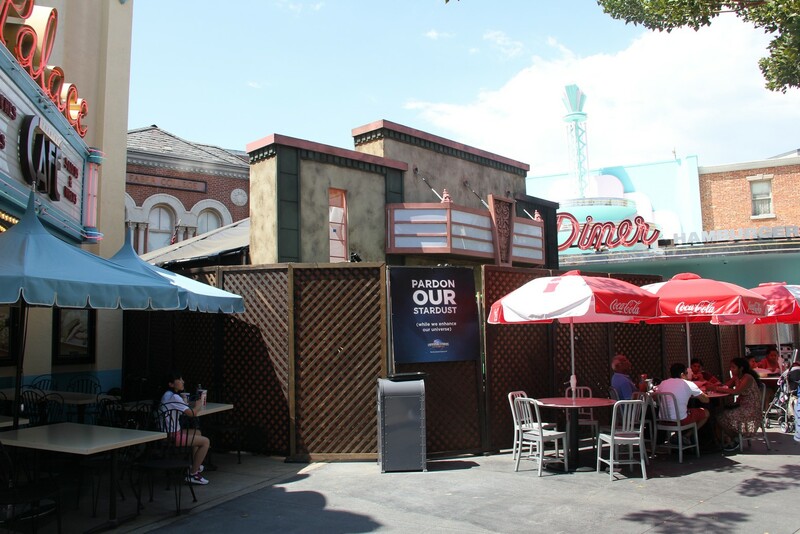 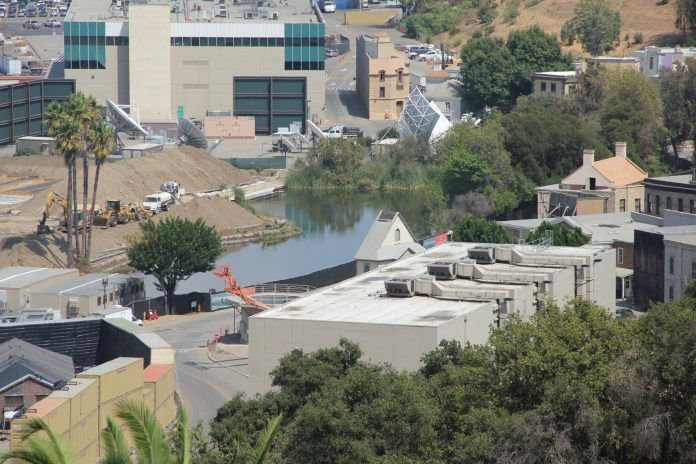 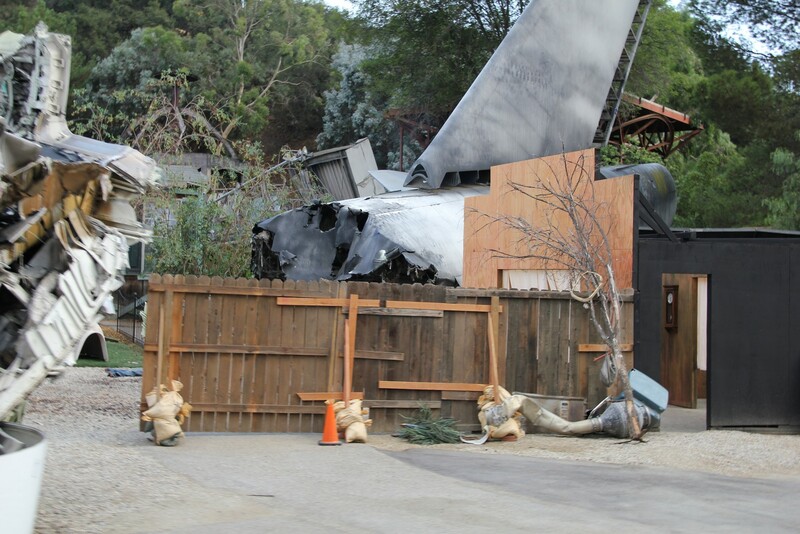 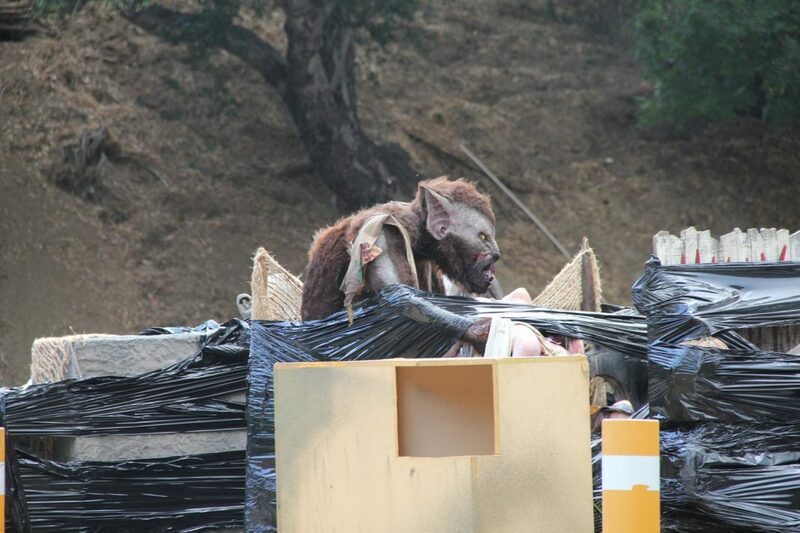 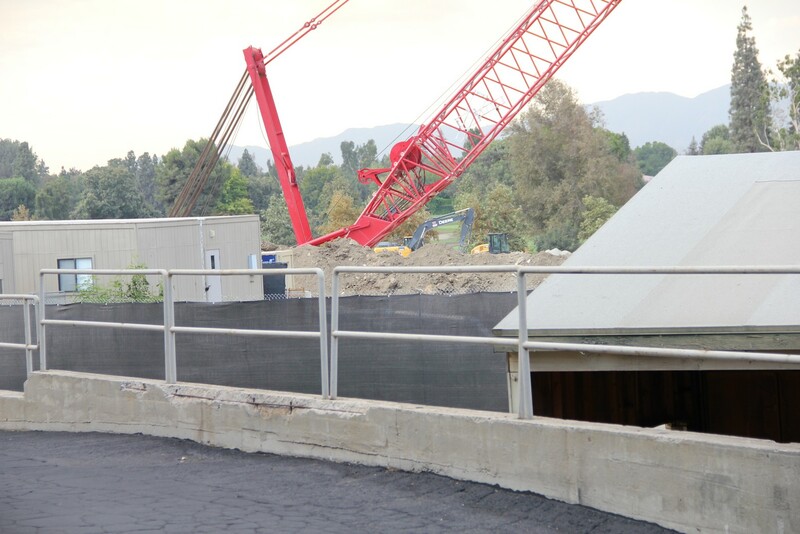 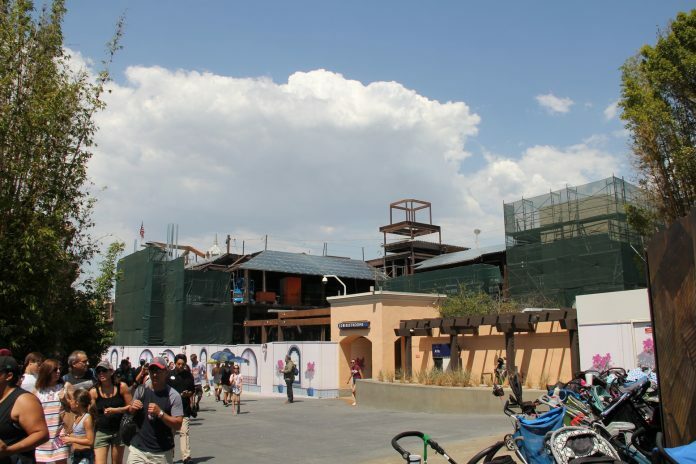 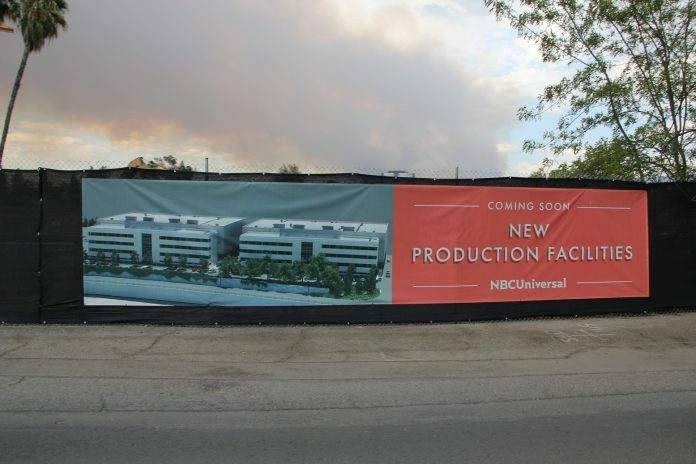 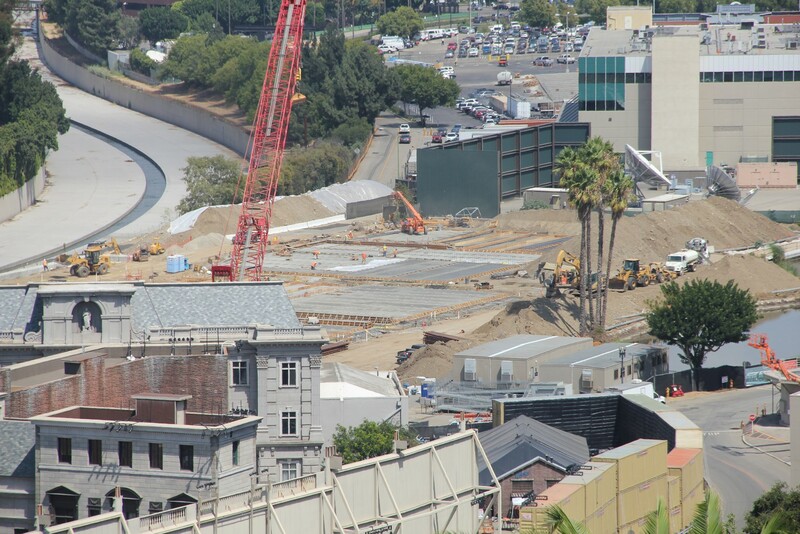 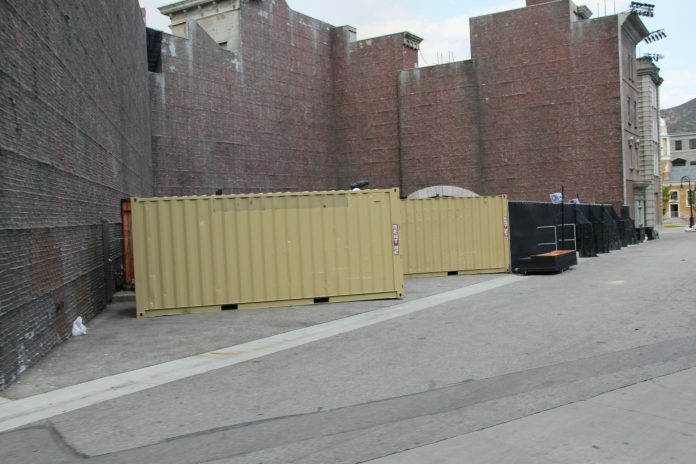 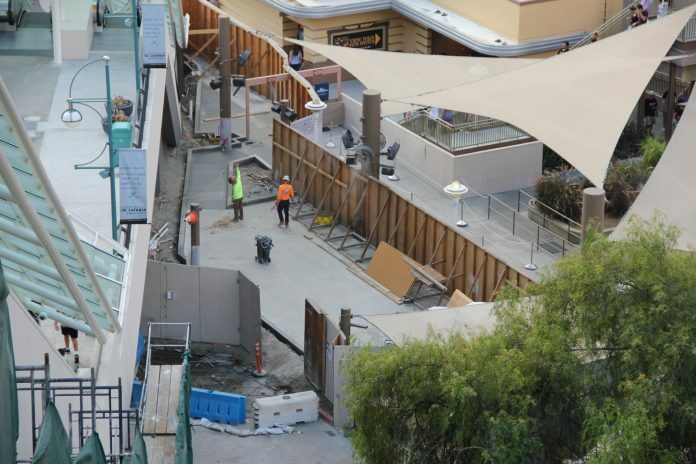 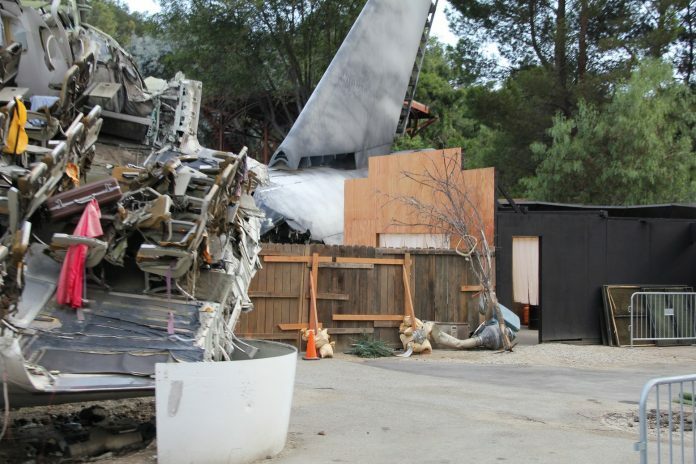 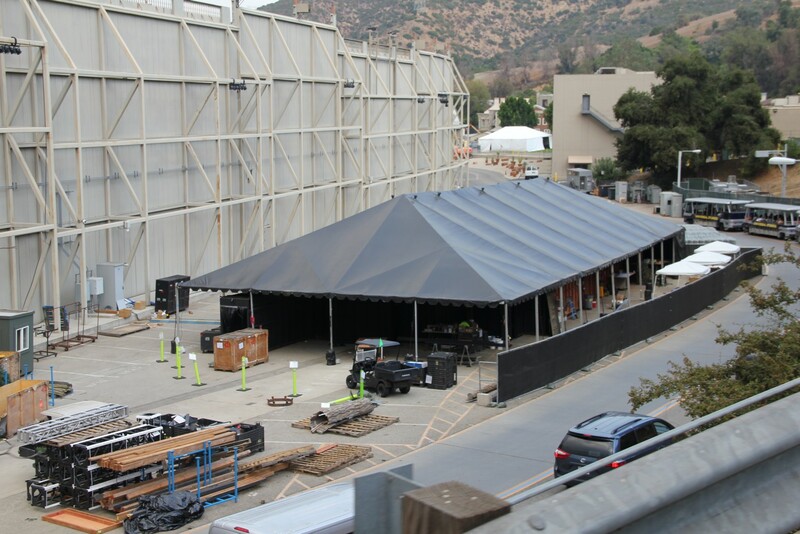 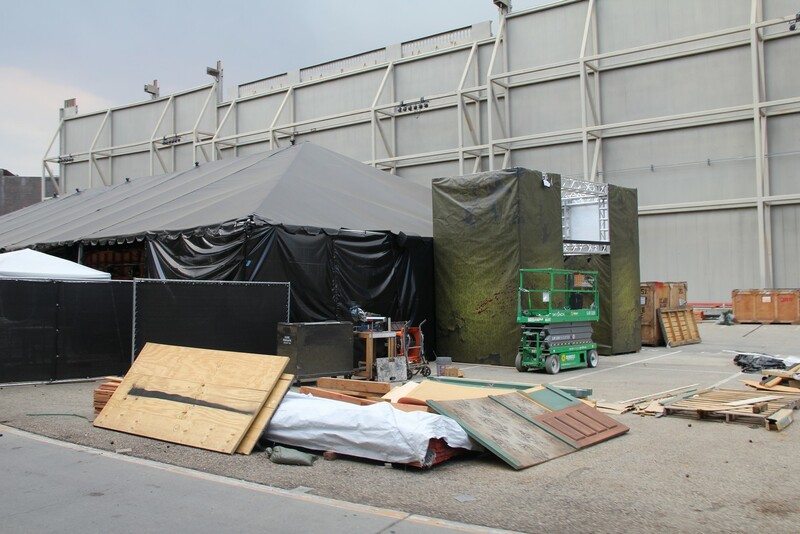 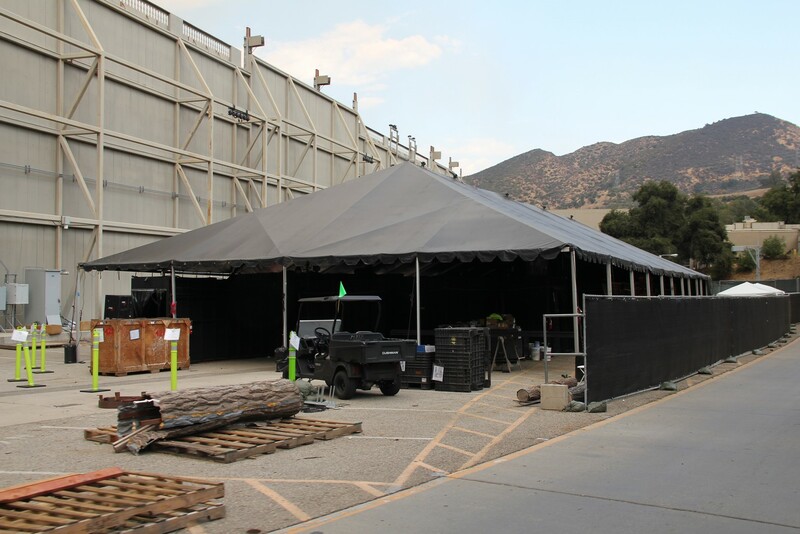 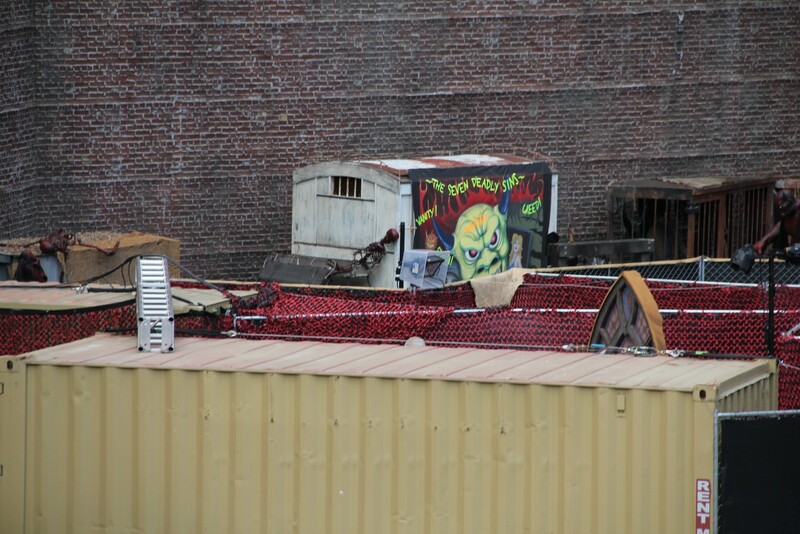 We’re back for this month’s Universal Studios Hollywood photo update. 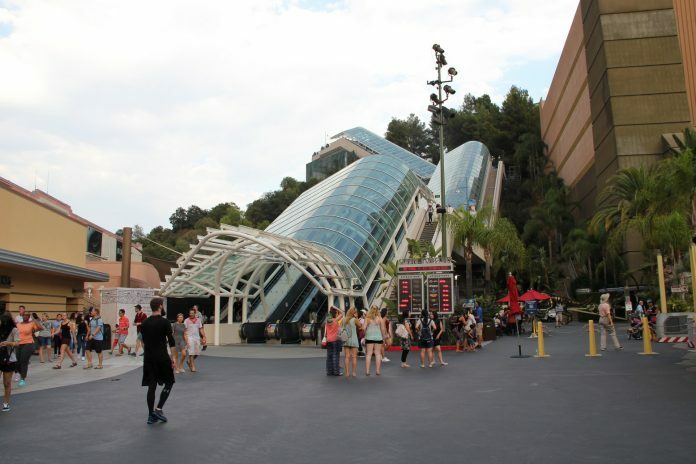 We’ll be taking a look at the CityWalk transformation, DreamWorks Theatre, Halloween Horror Nights and much more. 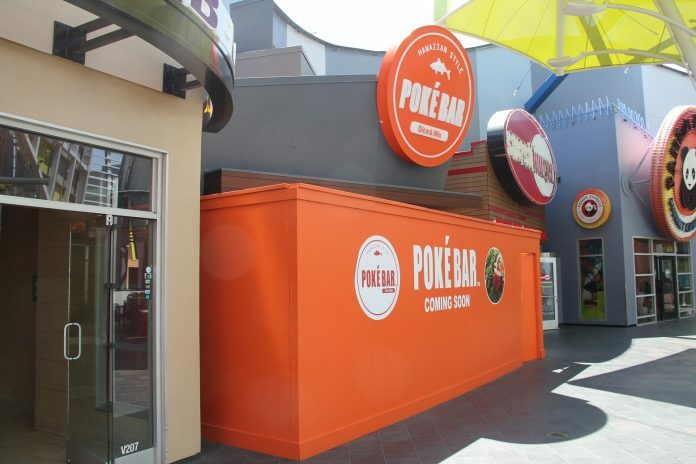 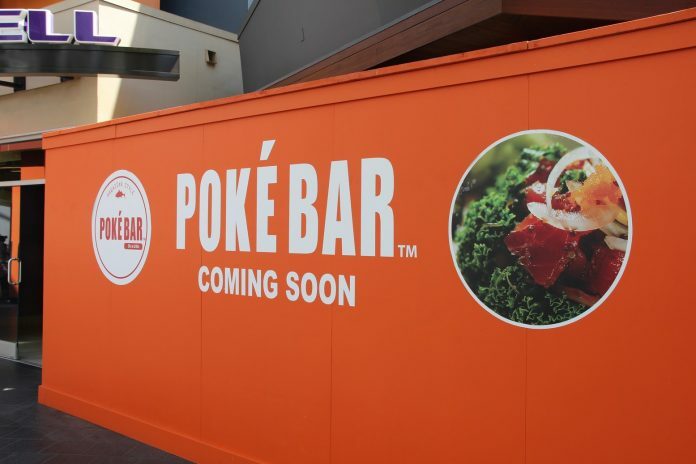 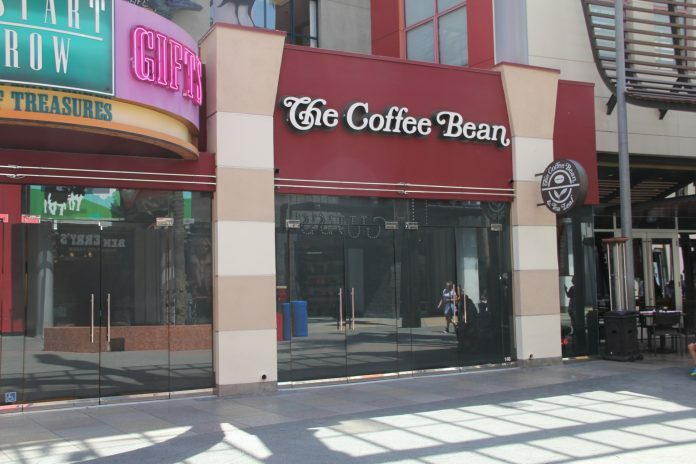 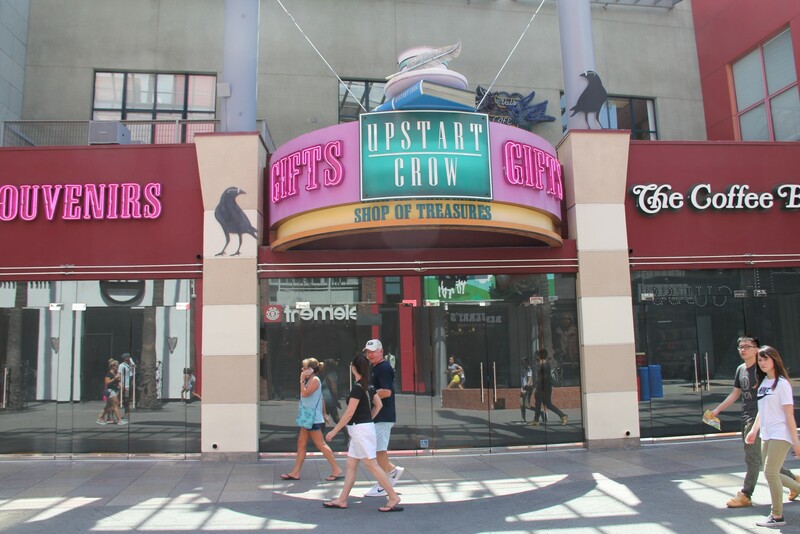 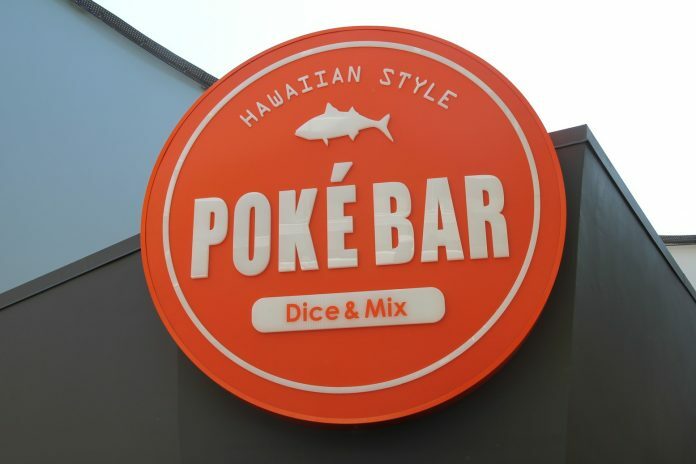 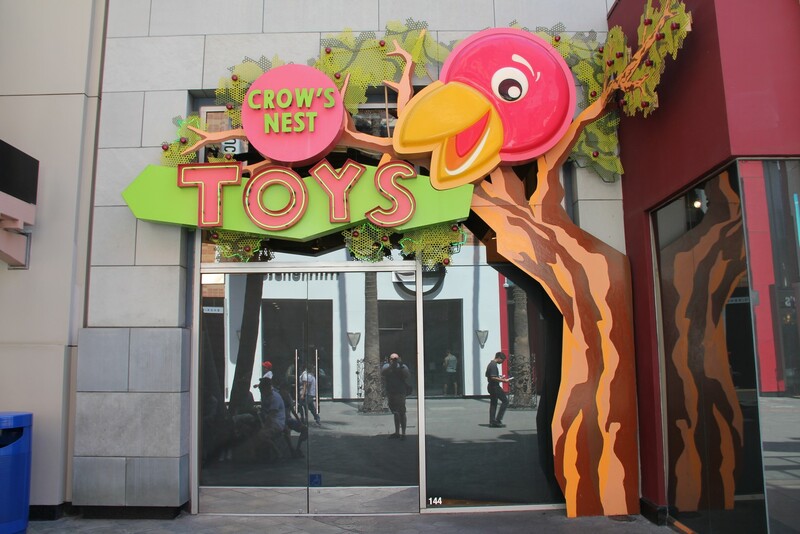 The CityWalk transformation continues as Upstart Crow – one of the last original stores in CityWalk – closed just last week, while a new food venue, Poke Bar is set to open soon upstairs at CityFood. 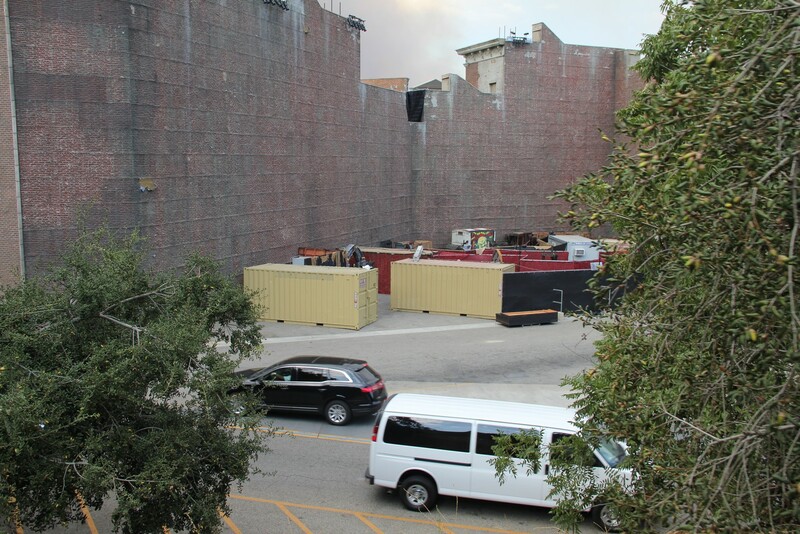 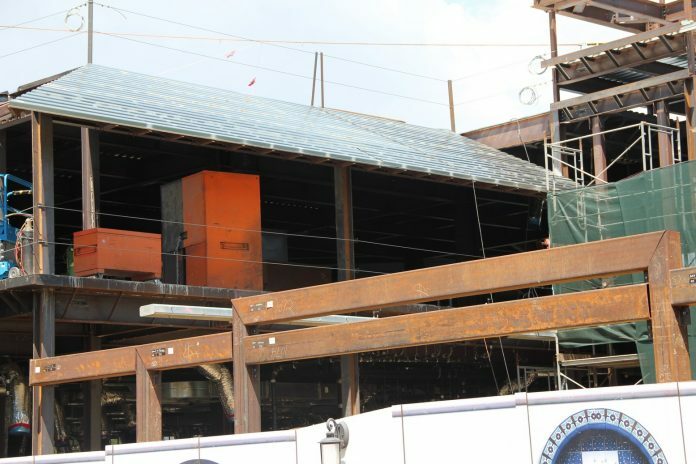 While it seems it took Universal awhile to begin construction on the new Animation Studio Store, the progression of the build is moving at a brisk pace. 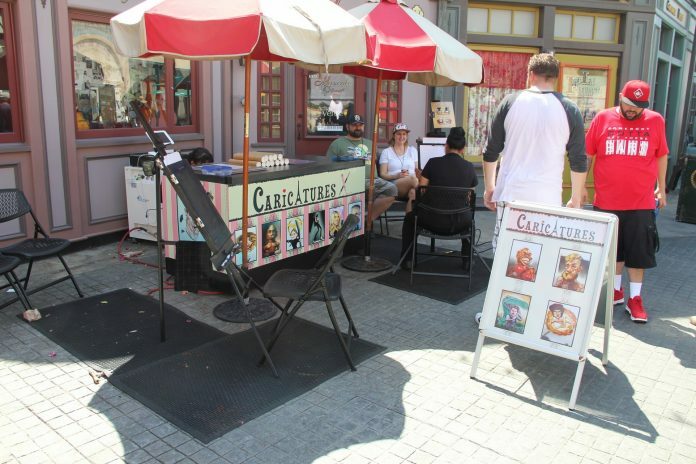 The new venue will house a store that will offer products similar to what the former tenant, Cartooniversal sold. 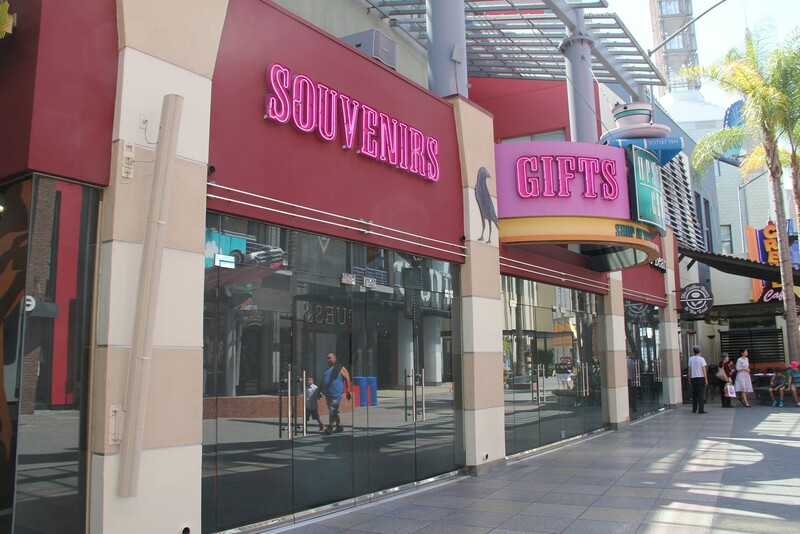 As well as Hello Kitty products including an opportunity for a meet and greet with the famed character. 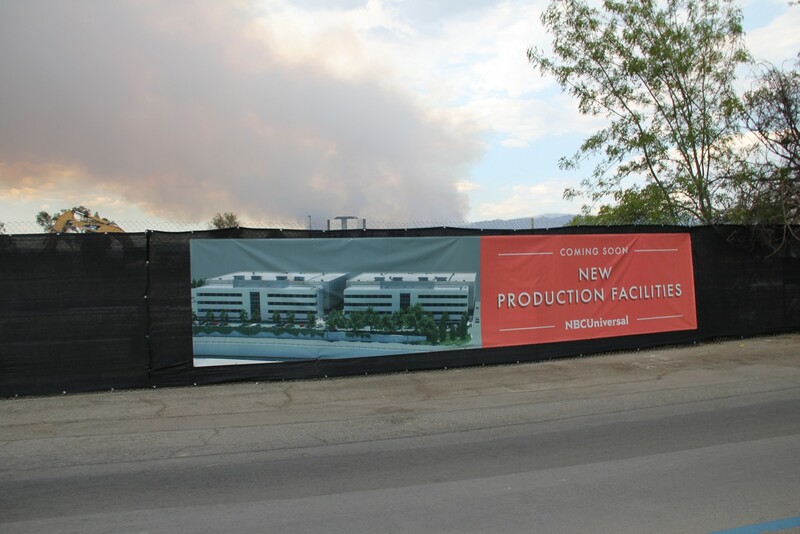 The new building will also house security offices, warehouse and the park’s first family center. 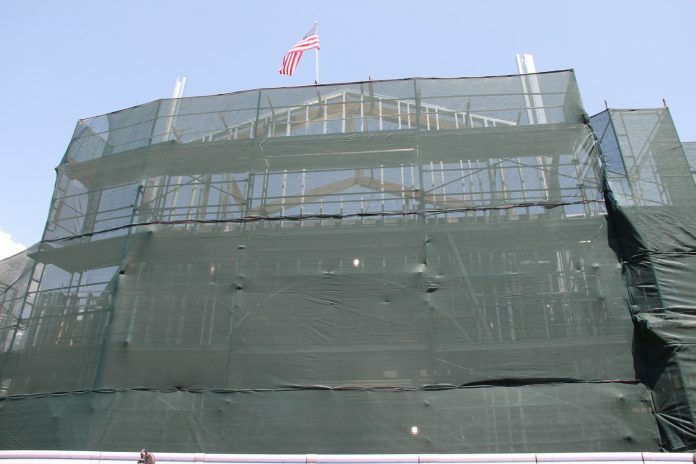 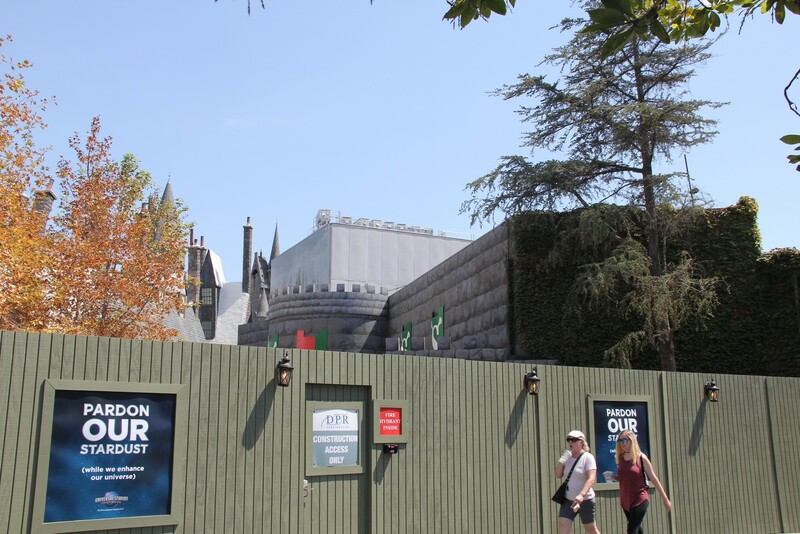 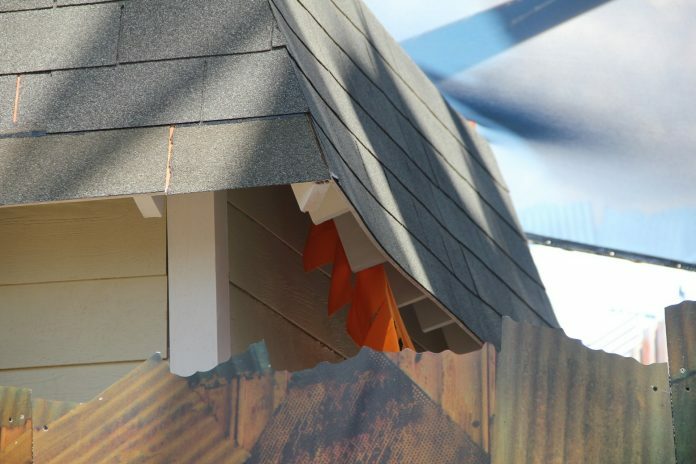 This two story building will also help cover up most of the view of Hogwarts Castle from Universal Boulevard. 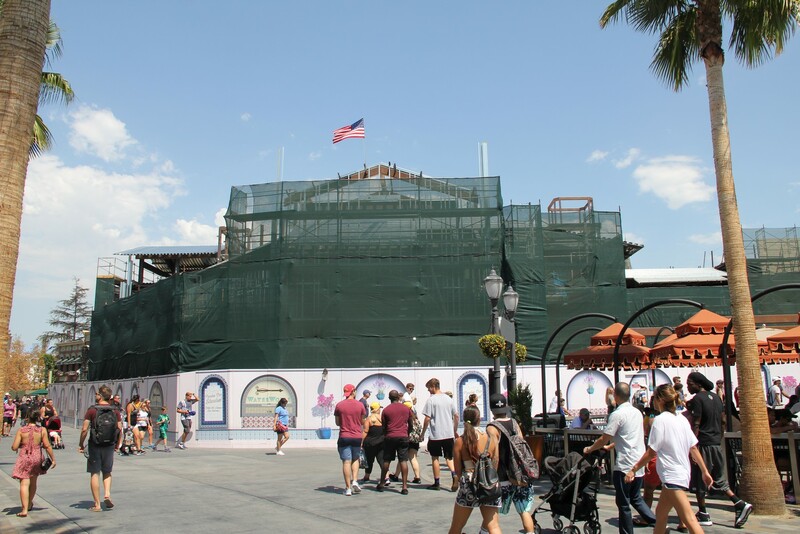 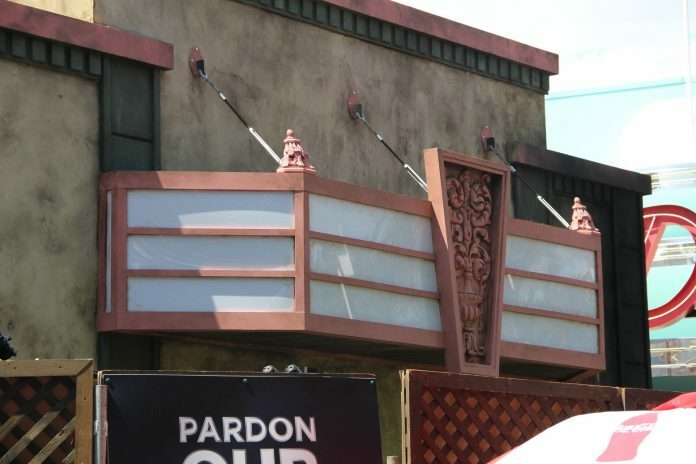 After just a few weeks since Shrek 4D’s closing, the Shrek 4D marquee finally came down this week as the surrounding grounds have been torn up around the sign and by the former stroller section. 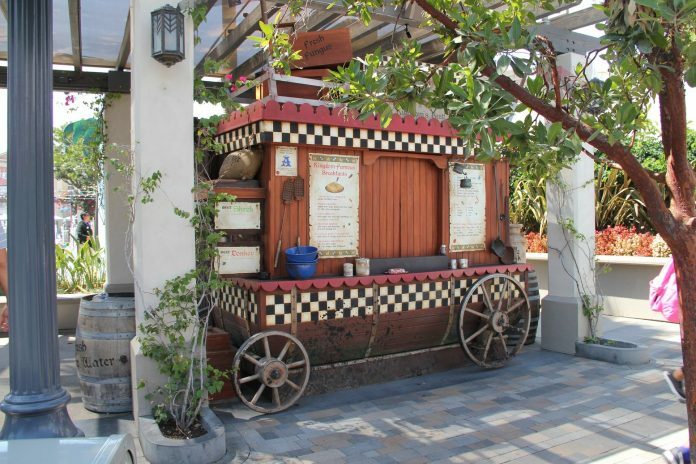 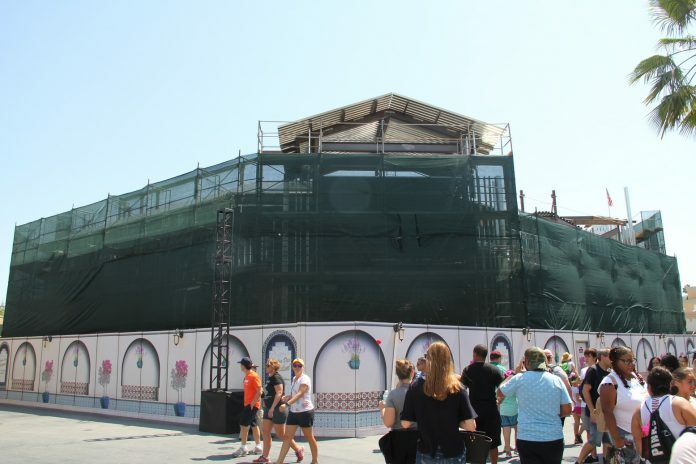 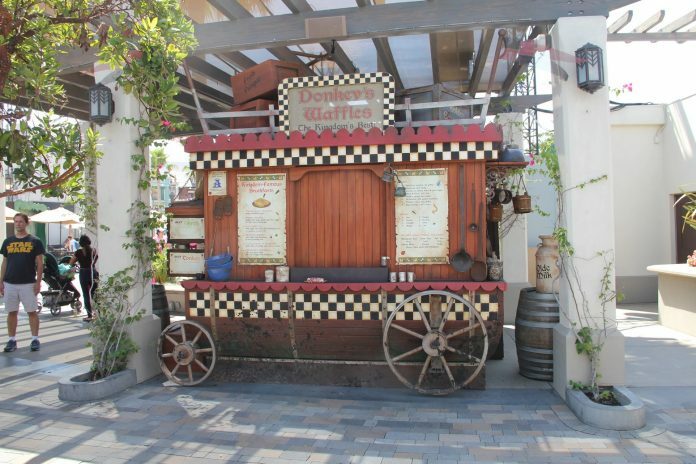 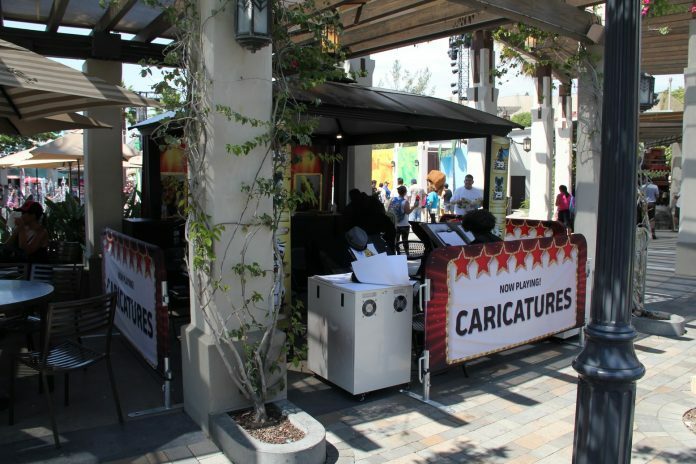 The Donkey meet and greet has been moved under the pergola’s by Universal Plaza. 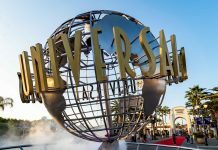 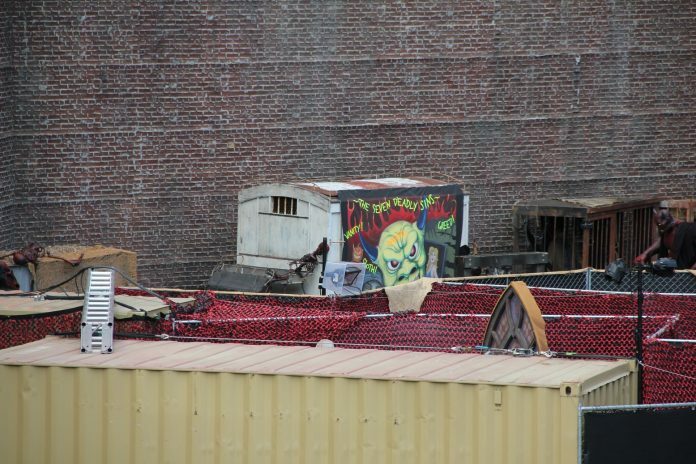 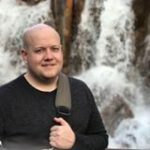 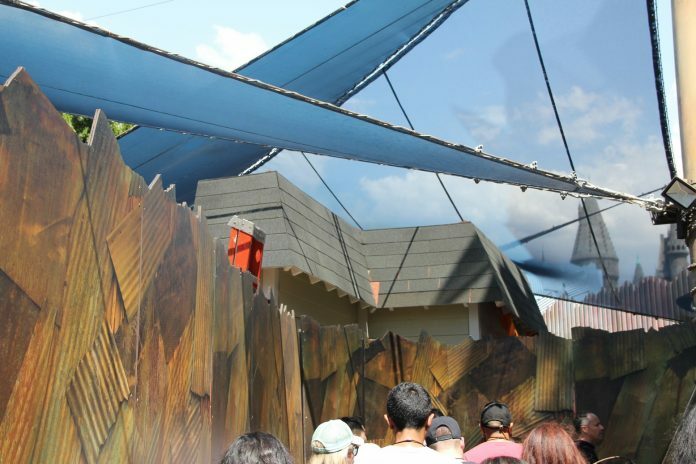 All of the mazes have finally been announced – Titans of Terror (WaterWorld queue), The Horrors of Blumhouse (Parisian Courtyard), The Shining (Mummy queue), Insidious (Jurassic Park queue), American Horror Story: Roanoke (Backlot), Saw (Backlot by Stage 747), Ash vs Evil Dead (Backlot), and Titans of Terror Tram Starring Chucky. 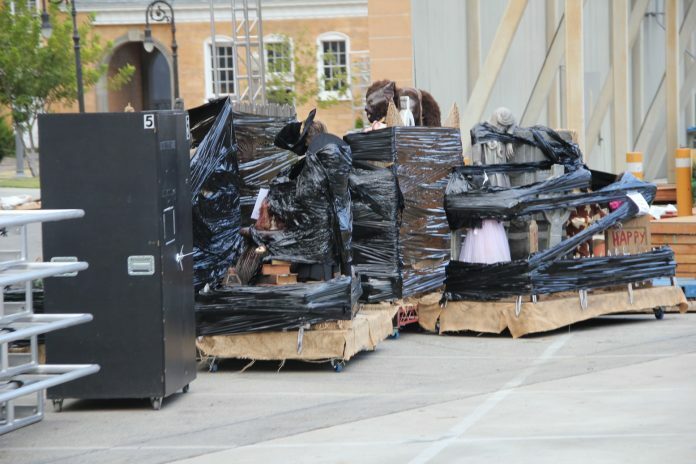 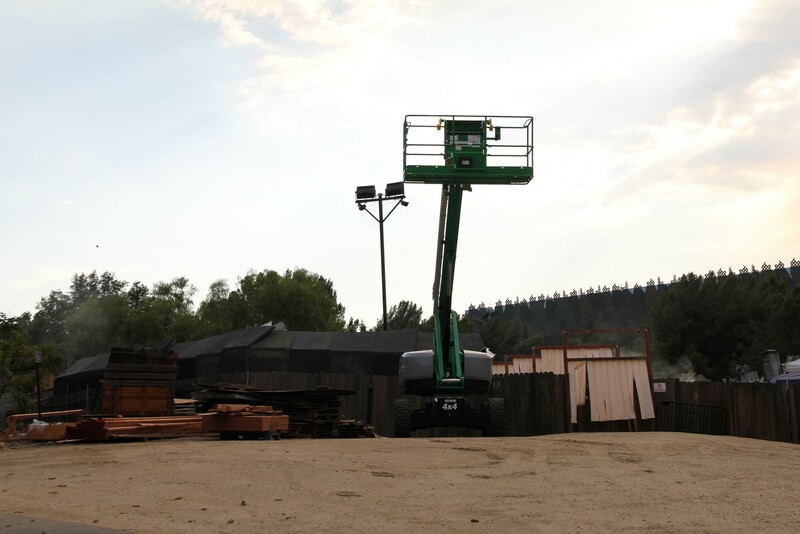 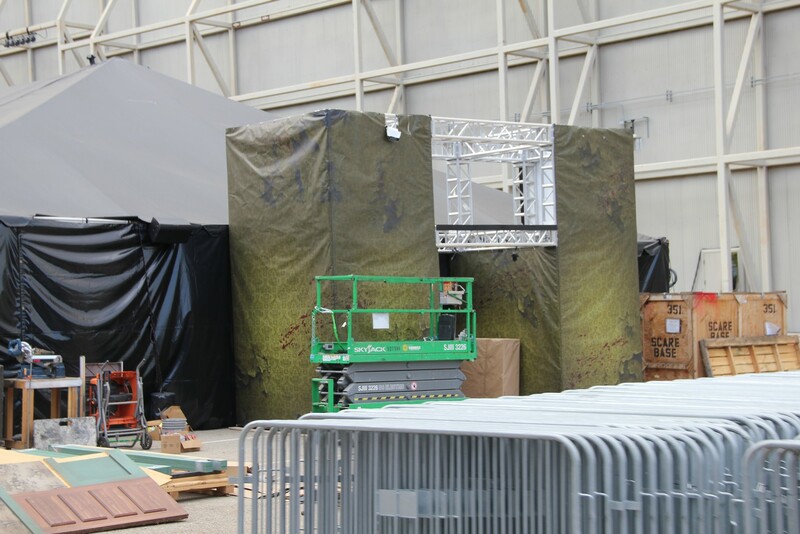 Every maze is currently into full set dressing and scare actor training has begun. 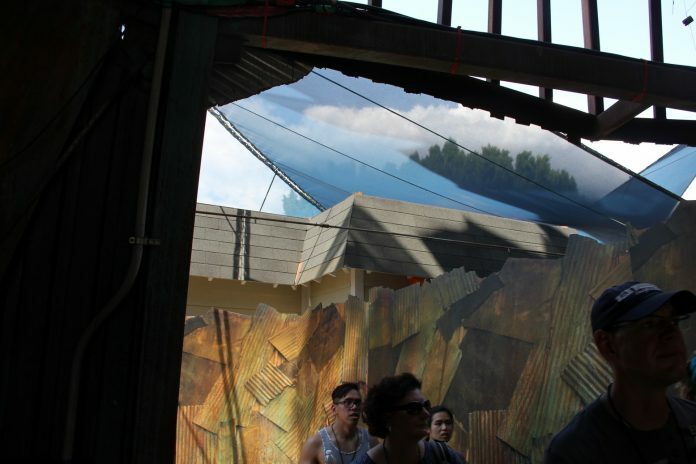 With a little less than two weeks until opening night, which maze are you looking forward to the most? 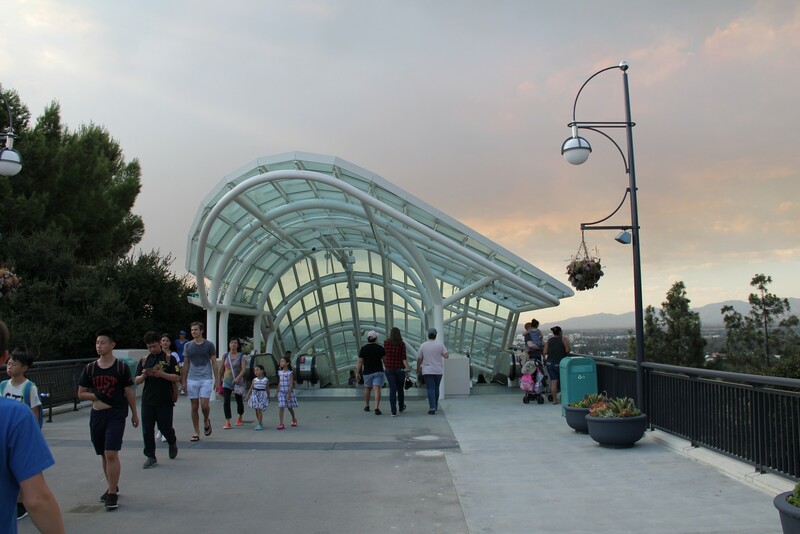 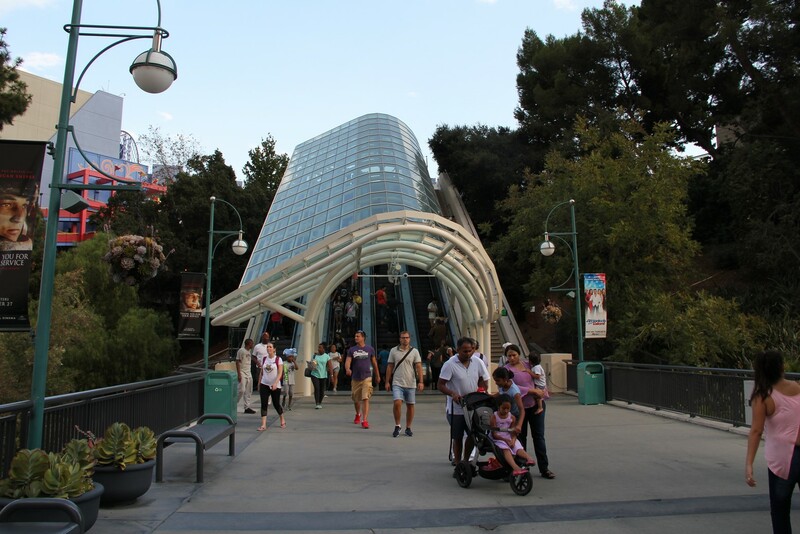 The fourth escalator on each bank is now fully operational and since now the new ones are complete, at some point after Halloween Horror Nights, the original three on each bank will be going under the knife as well. 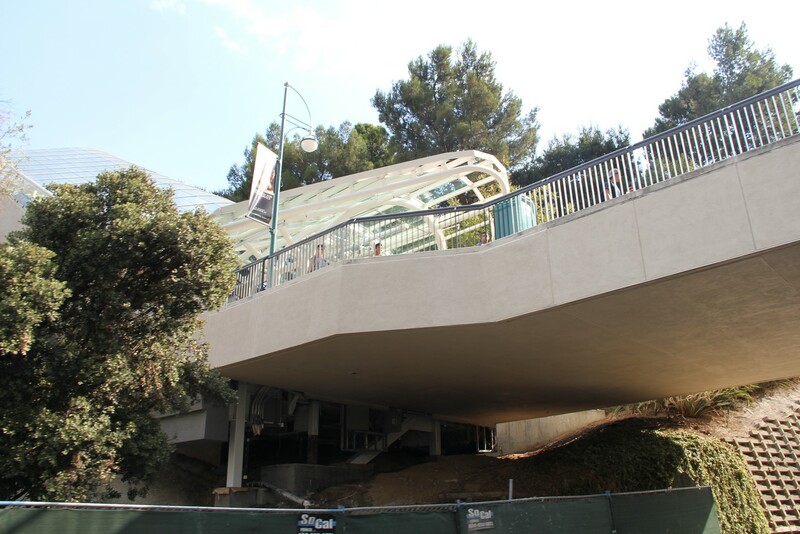 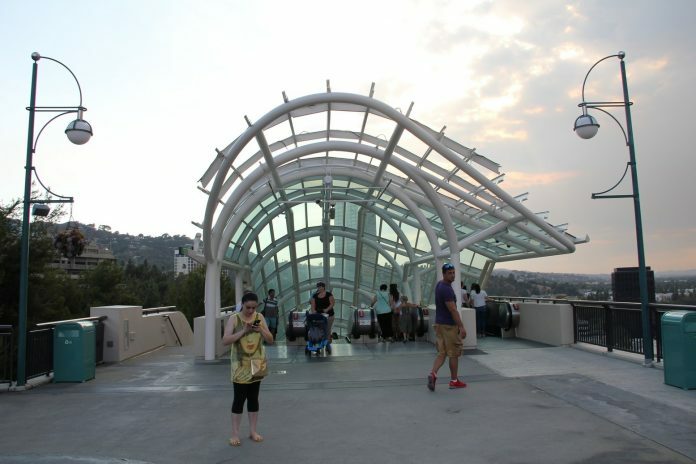 The guts of each escalator will be replaced and new steps will be added to match the new ones. 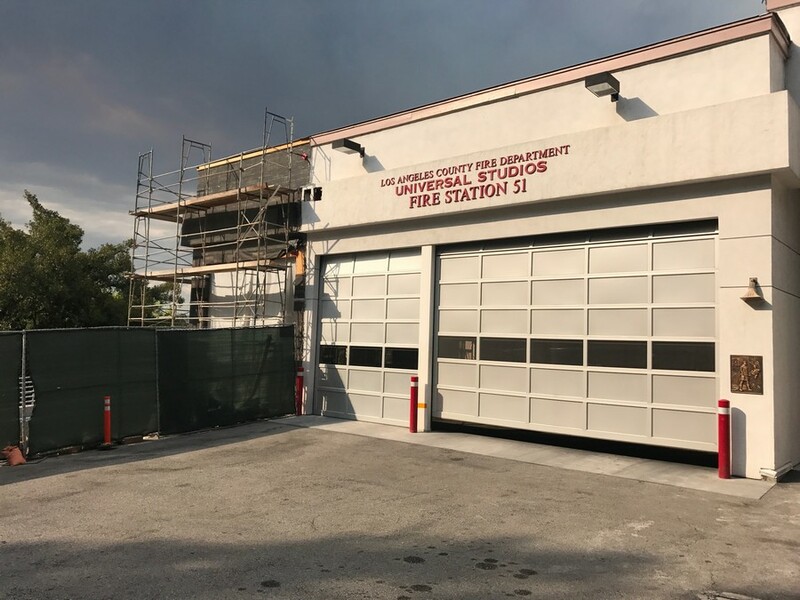 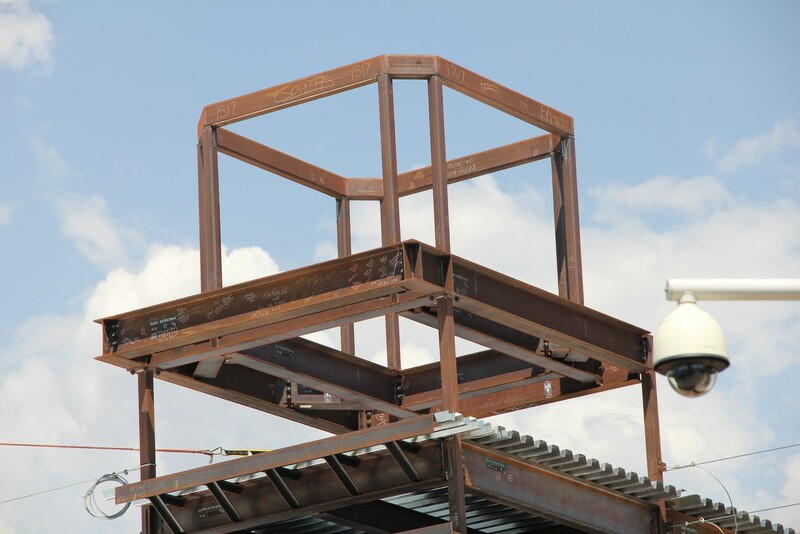 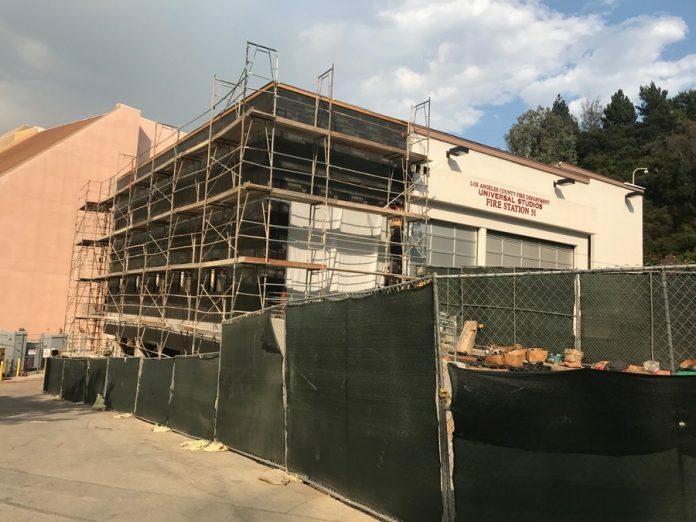 On the heels of the new production facility enhancements and Lower Lot expansion, Fire Station 51 has been undergoing its own expansion. 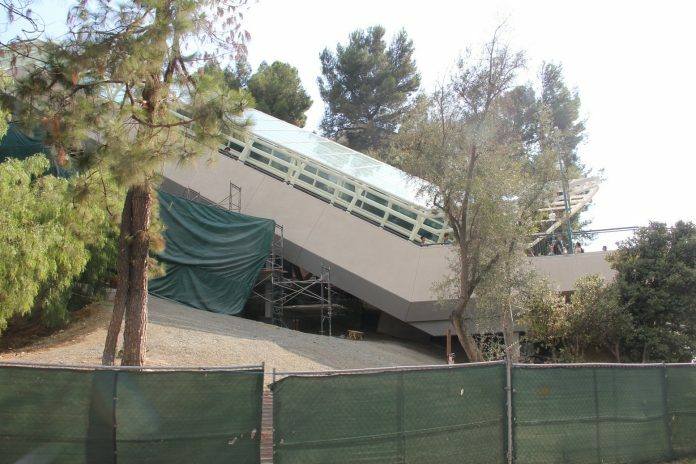 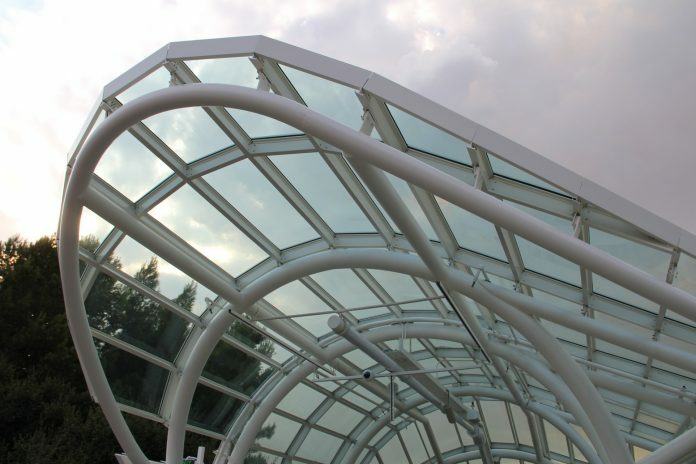 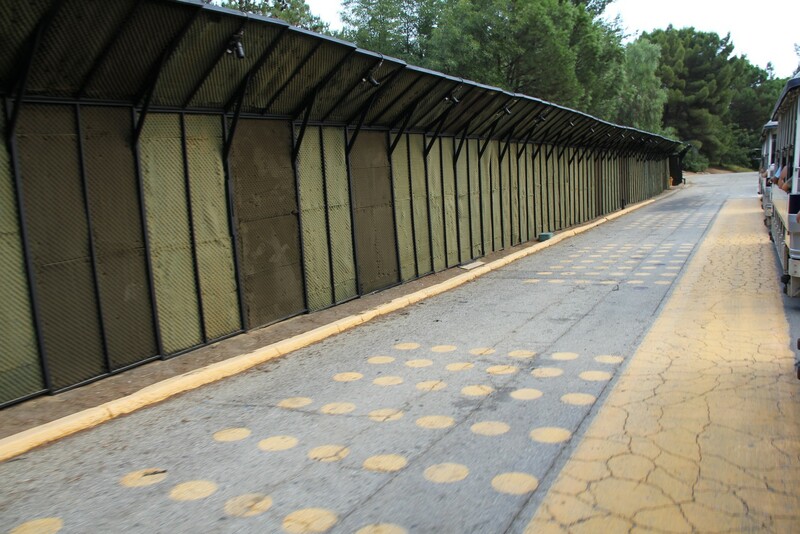 After months of renovation, the station looks like they might be getting ready to wrap up soon. 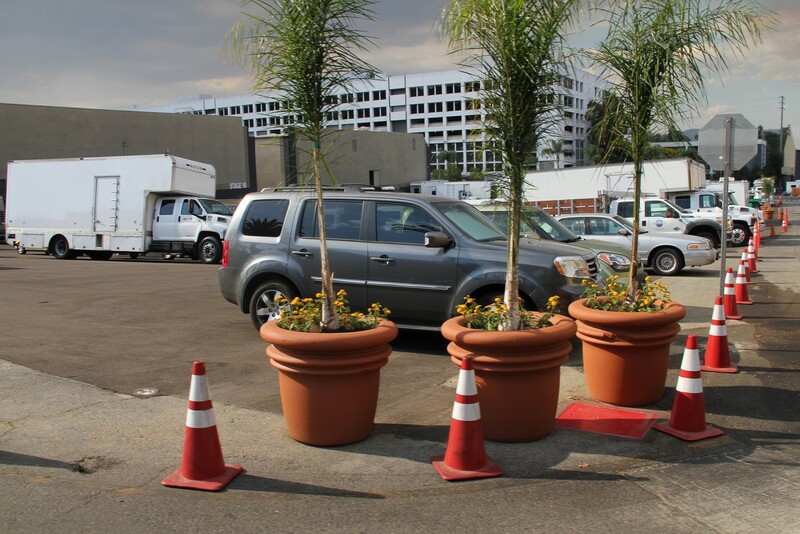 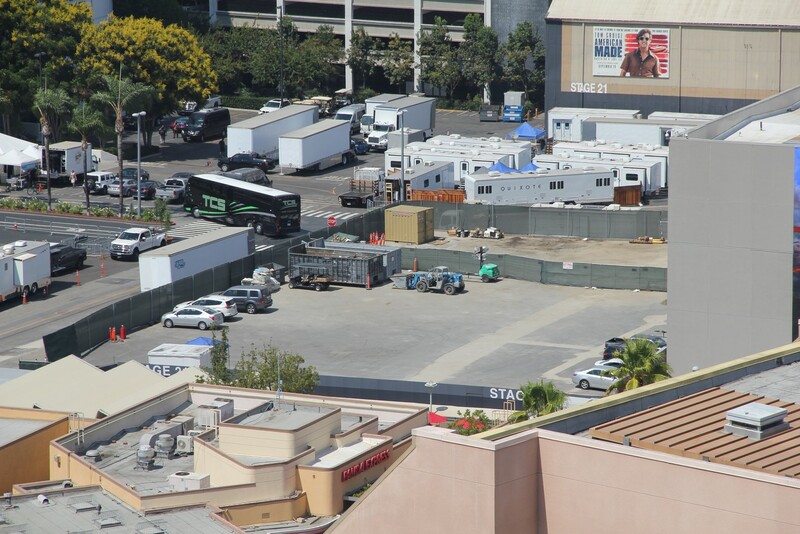 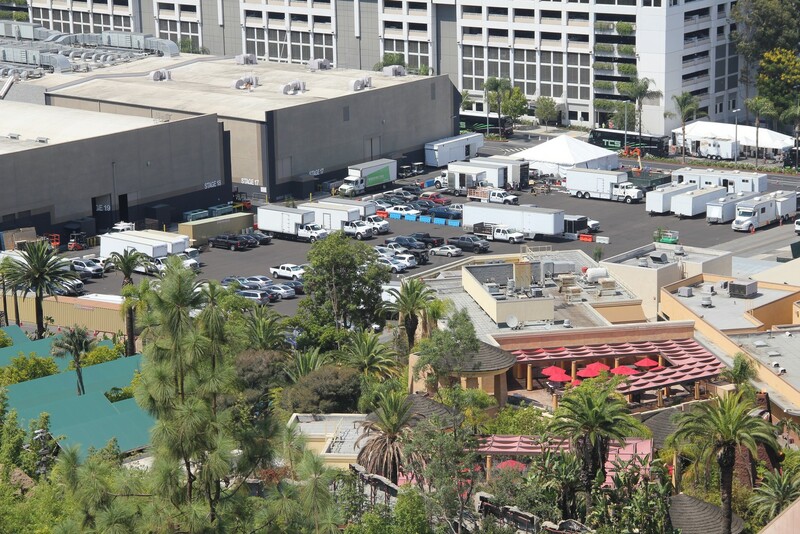 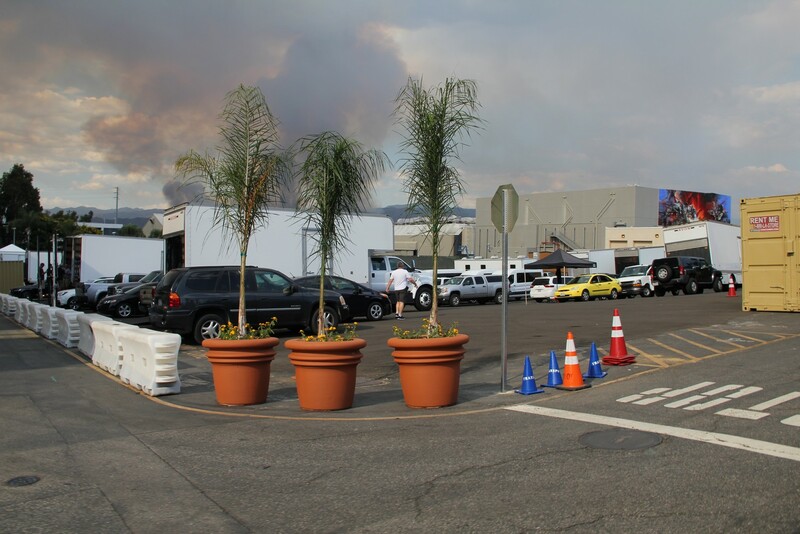 Since the demolition of stages 22-25, the lot has now turned into a parking lot for the studio. 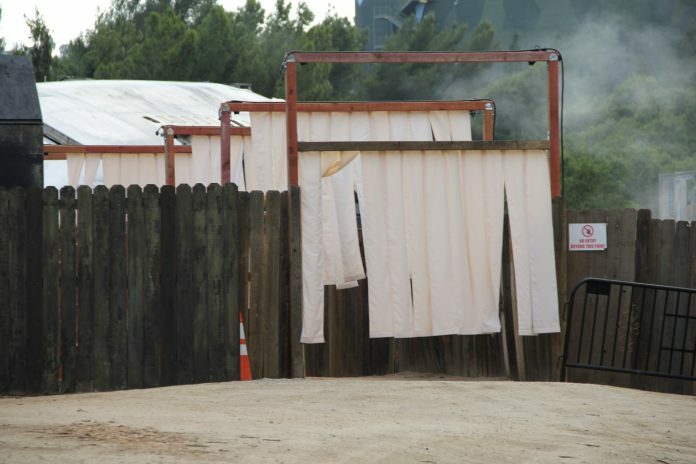 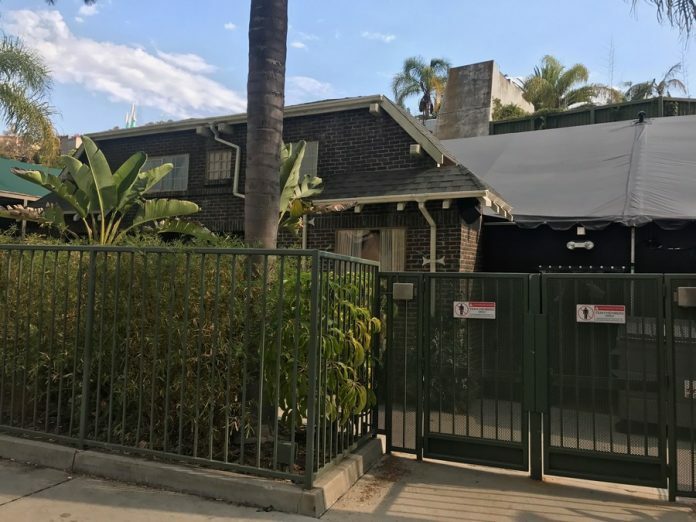 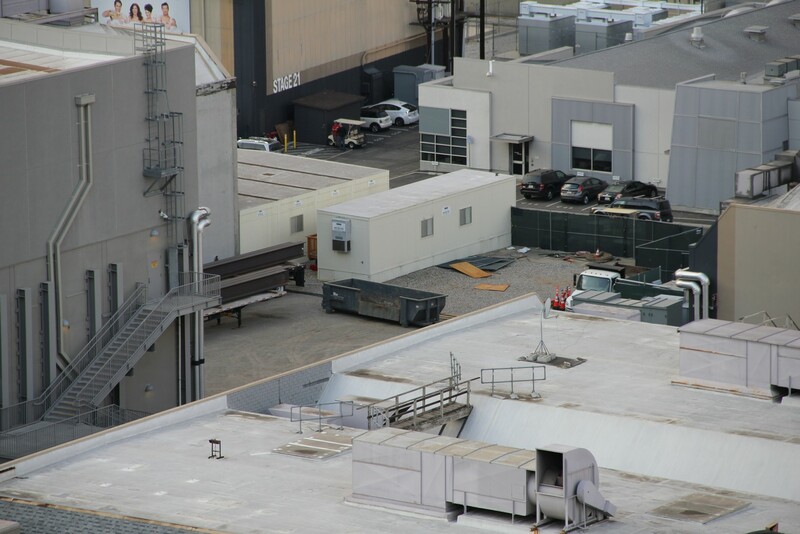 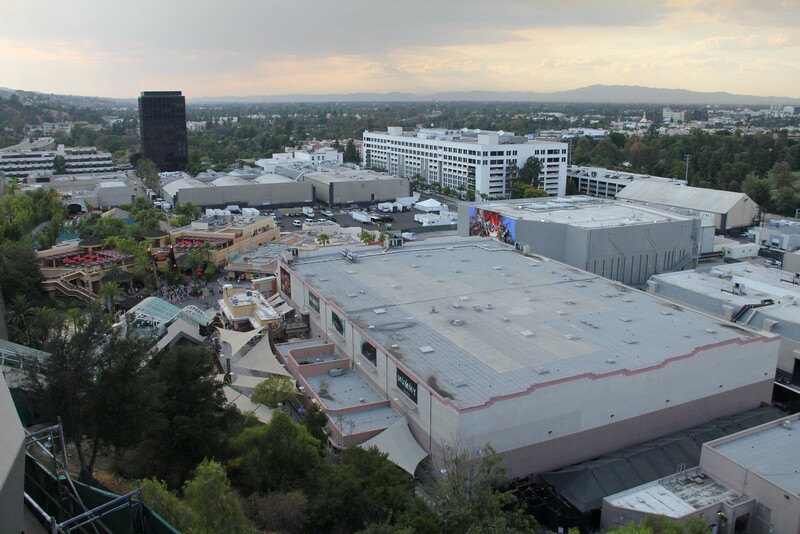 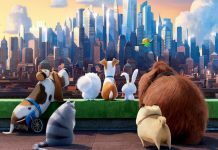 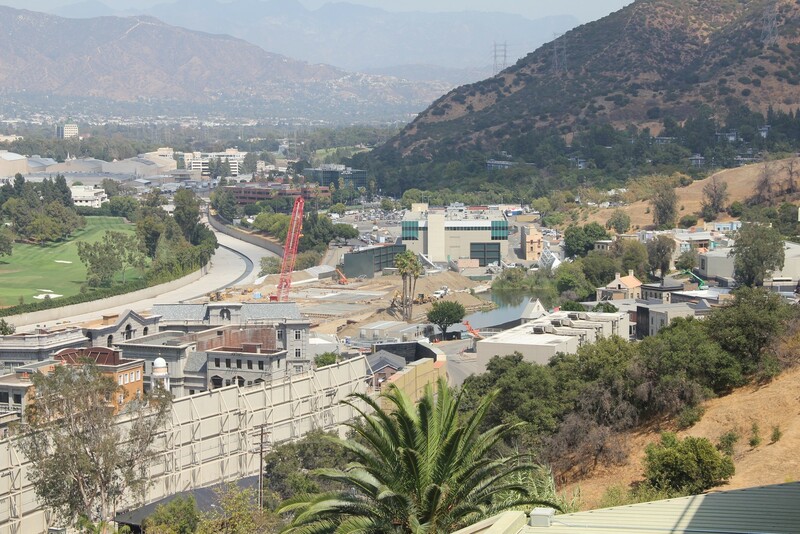 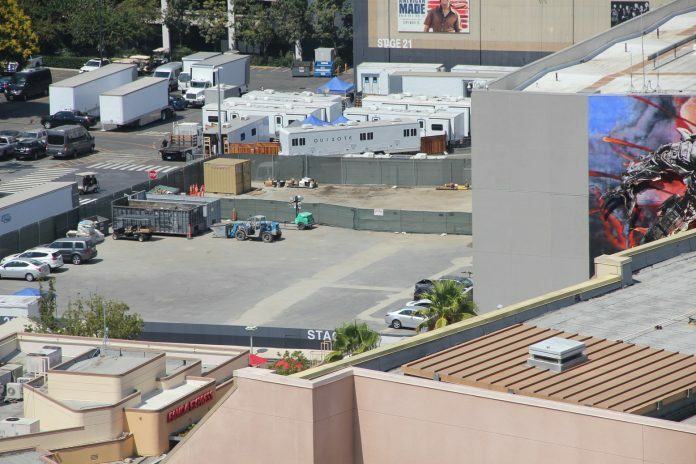 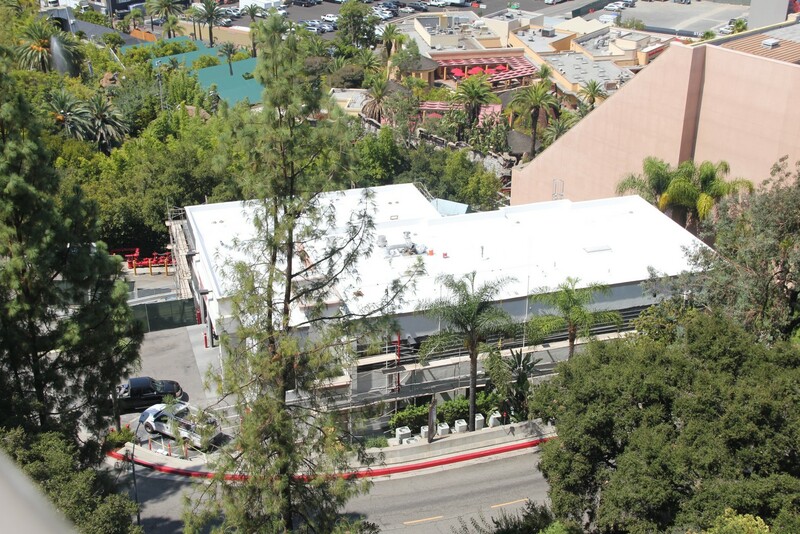 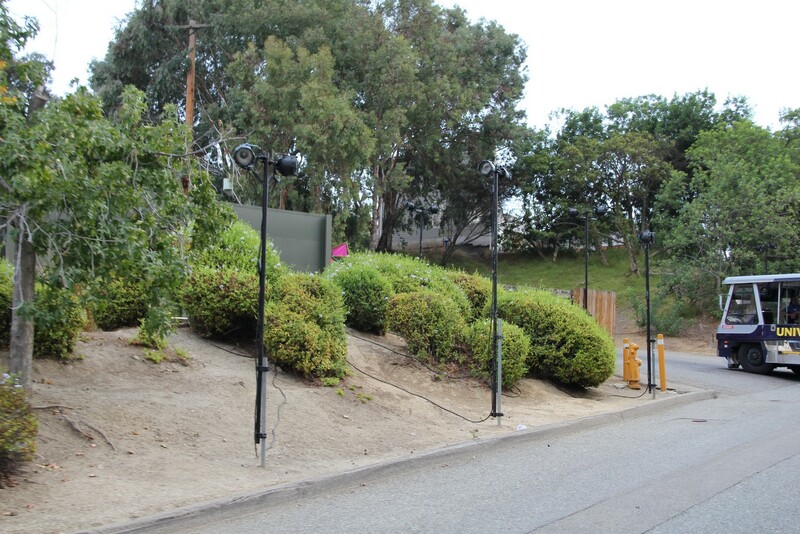 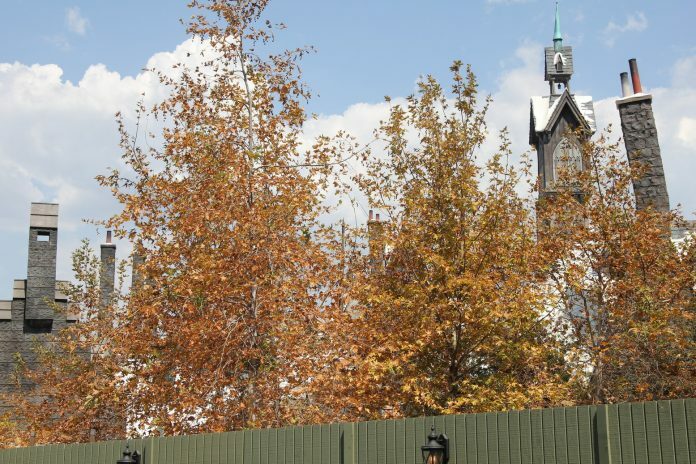 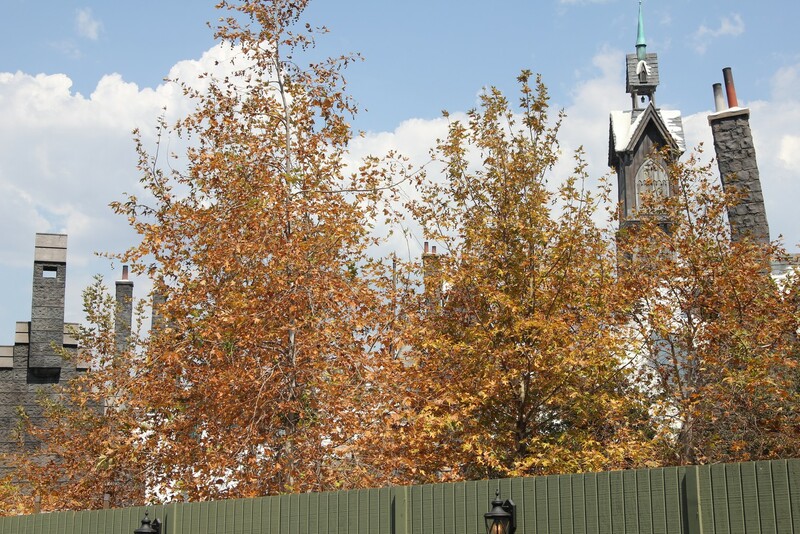 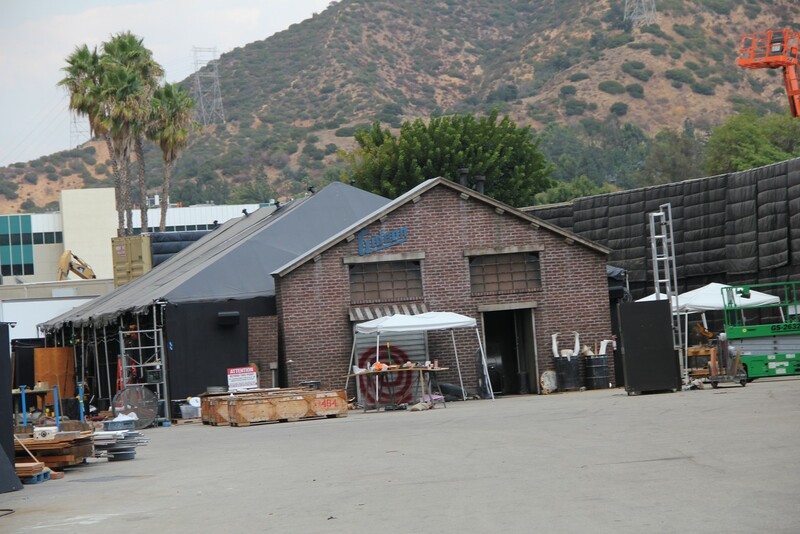 According to the Universal lot map, this area has been designated for Project 168, which is the project number for Secret Life of Pets, the long rumored ride. 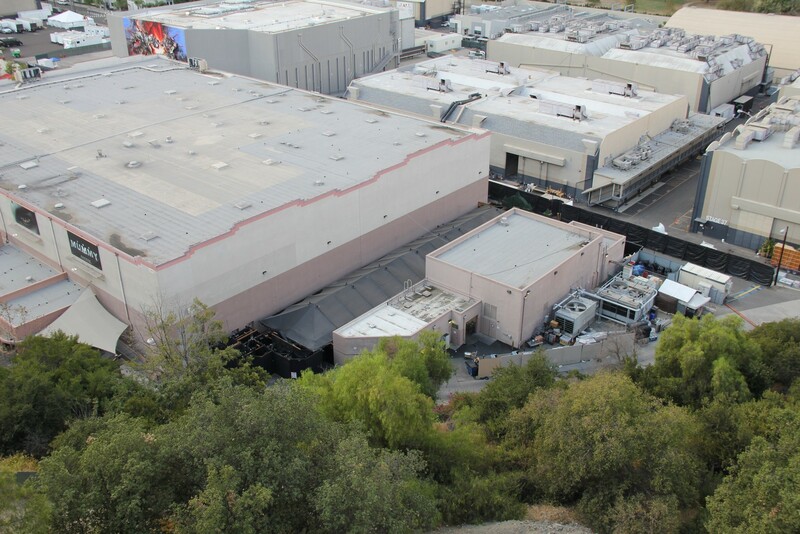 Soundstage 28 has seen a little movement over the last few days as the plot seems to be getting cleared, perhaps we could see movement soon on the plot. 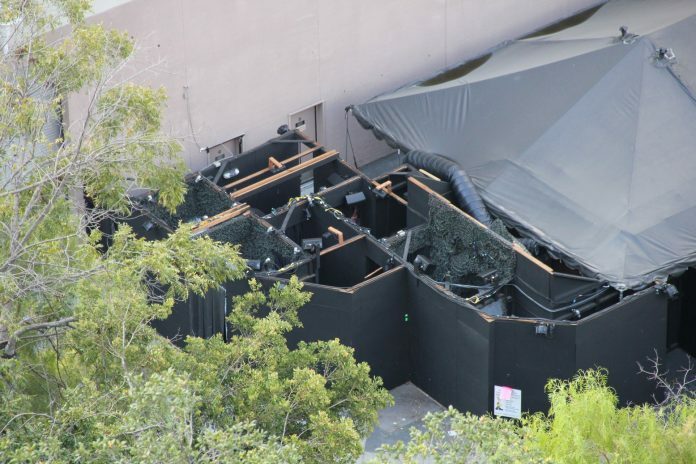 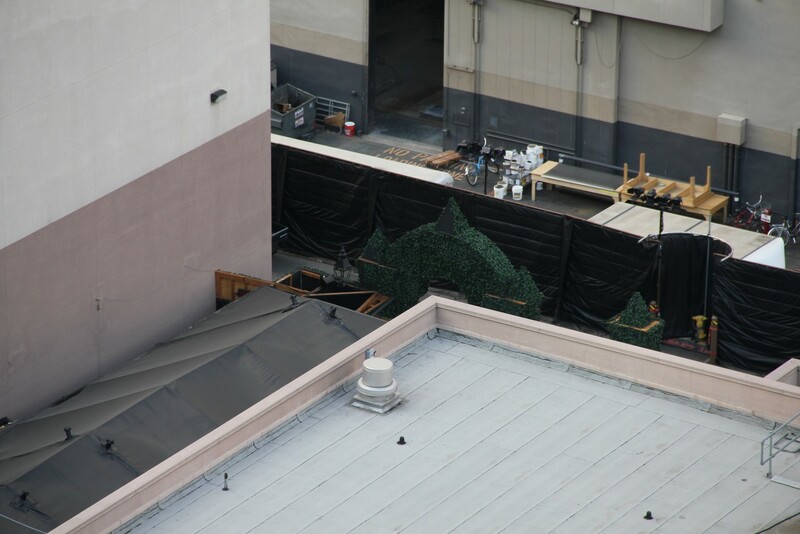 One has to wonder if maybe Grinchmas may move to Stage 28 location, to help with crowd flow, since The Wizarding World of Harry Potter receiving a Christmas overlay this year. 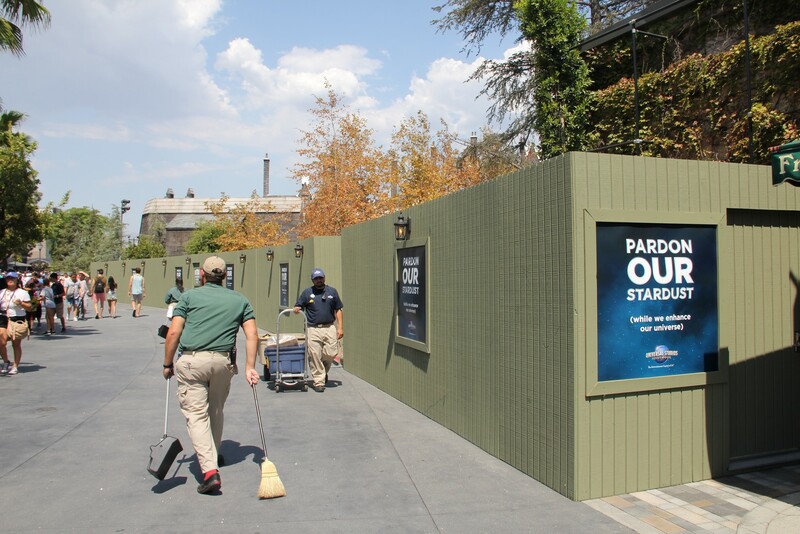 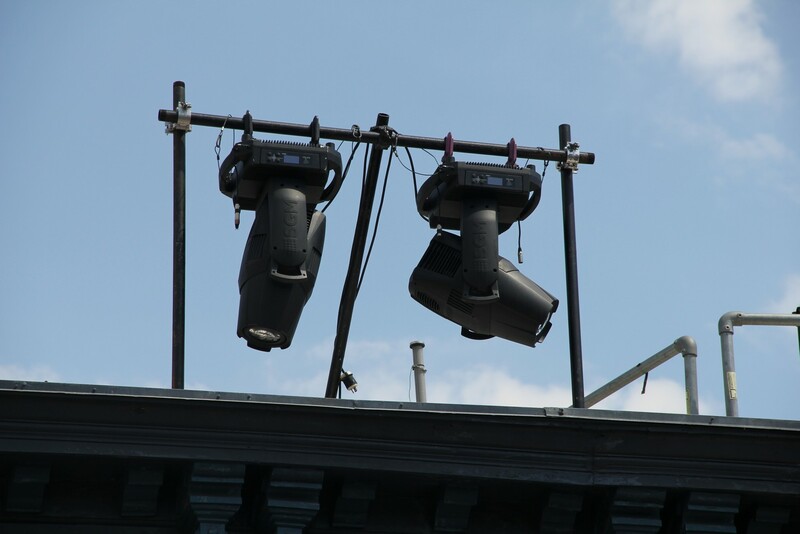 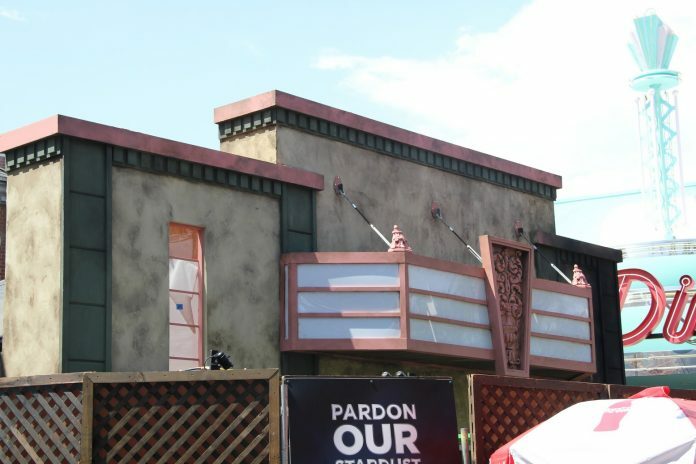 Park Lake is currently in the process of being redone to house new production facilities that will match the new 22 and 23 stages. Signs now line the outer edge of the lake promoting the new studio growth. 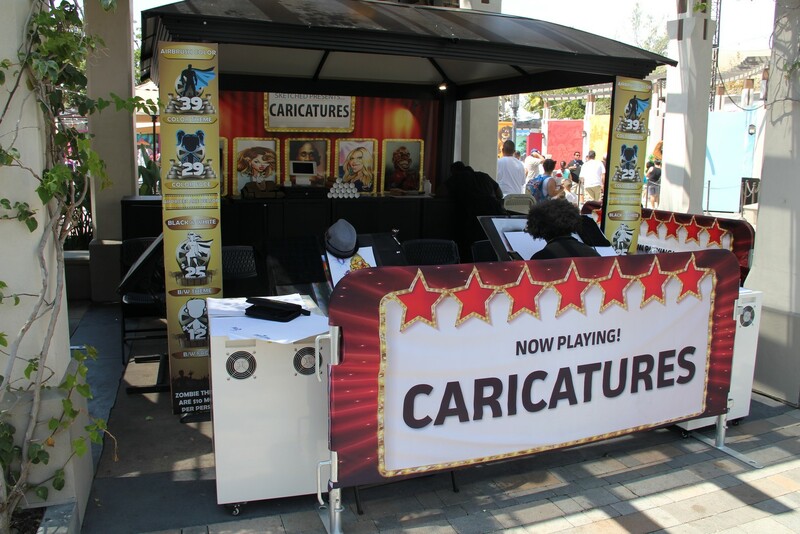 New caricature stands have popped up in Universal Plaza and French Street. 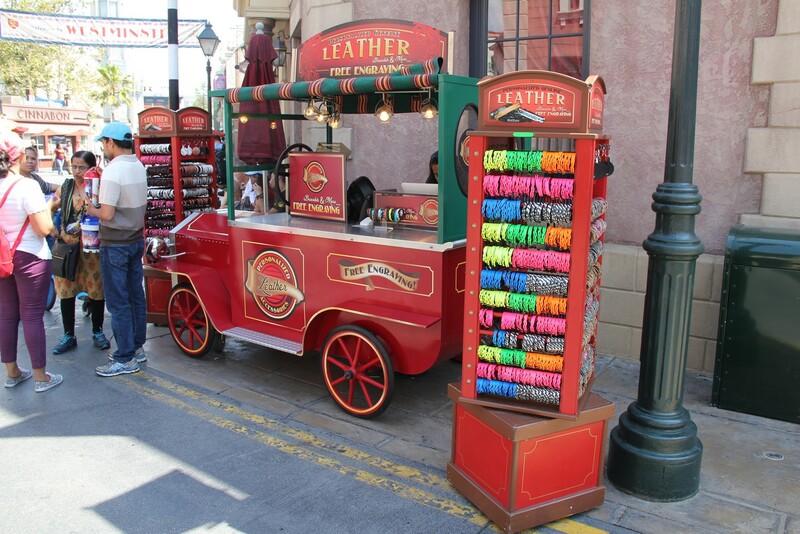 On Baker Street, a leather band-engraving cart and face painting have appeared. Between The Mummy and the StarWay, groundwork is taking place to replace the tree’s, which were the last remnants of The ET Adventure. 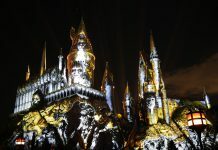 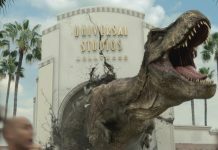 That will do it for this update and be sure to follow Inside Universal for continuing coverage of Universal Studios Parks and Resorts.